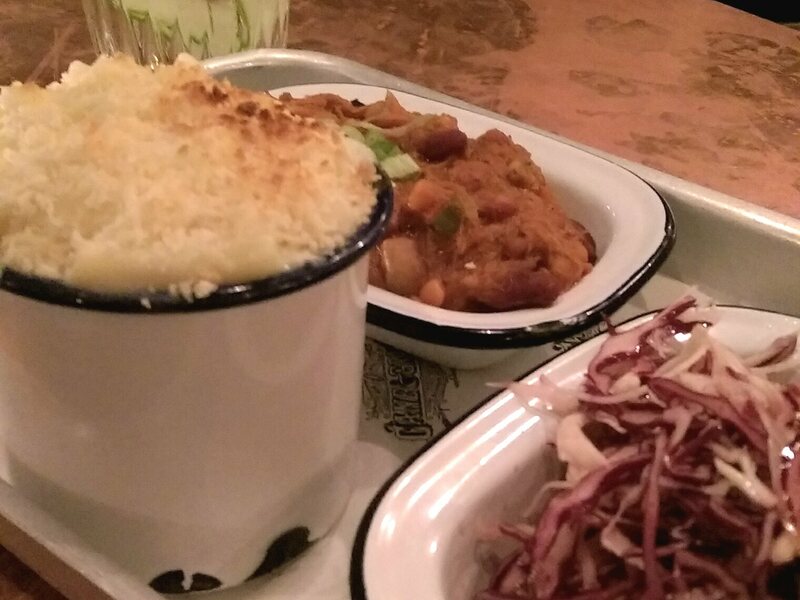 Cane & Grain in Manchester is the Northern Quarter’s latest food joint. Boasting three floors of quintessential NQ charm, I must admit I was not expecting the type of eatery which lay before us! I’ve walked past Cane & Grain countless times, and just like the other bars and restaurants in the area it was always so packed full of people, all the time. As soon as I spotted they specialised in Ribs I knew I had to go and thankfully their PR people answered my prayers at the weekend. When you first walk in to the main entrance of Cane and Grain you are greeted with an exceedingly busy ‘Skate Bar’ – which was so full of people we didn’t even get a chance to check out the decor! However, as soon as we were led up to the much more sombre ‘Speakeasy’ area on the 1st floor I could fully soak up the amazing interior and laid back atmosphere. I am beyond gutted that I forgot to put my memory card in my camera, so therefore couldn’t capture the full effect of ‘Manchester’s Best Bar and Rib Joint’ so I will apologise in advance for these sneaky phone shots. I guess you’ll just have to head there yourself to see, eh? 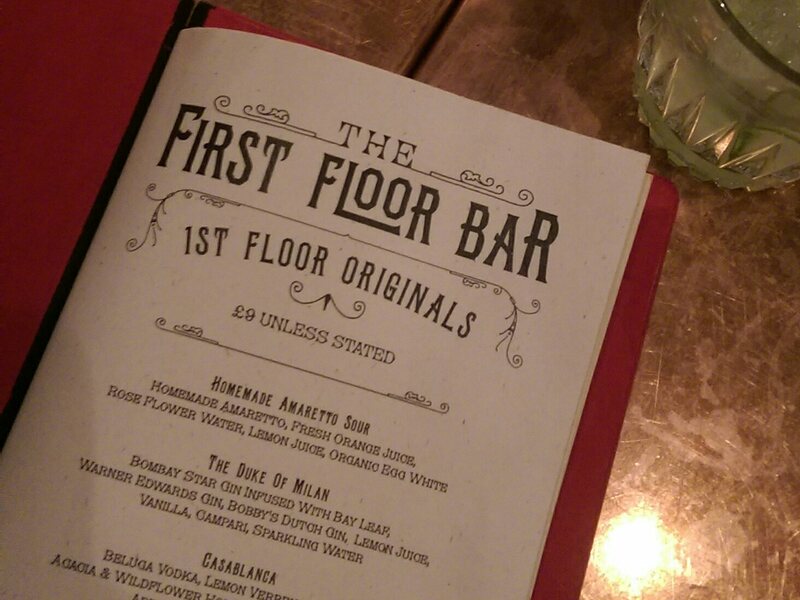 Poor quality images and fantastic atmosphere aside, let’s get on to the important stuff: The FOOD and the COCKTAILS. As soon as we sat down the waitress bought over some water for the table, complete with cucumber and ice without even asking if we wanted water, which is always a delightful first impression! 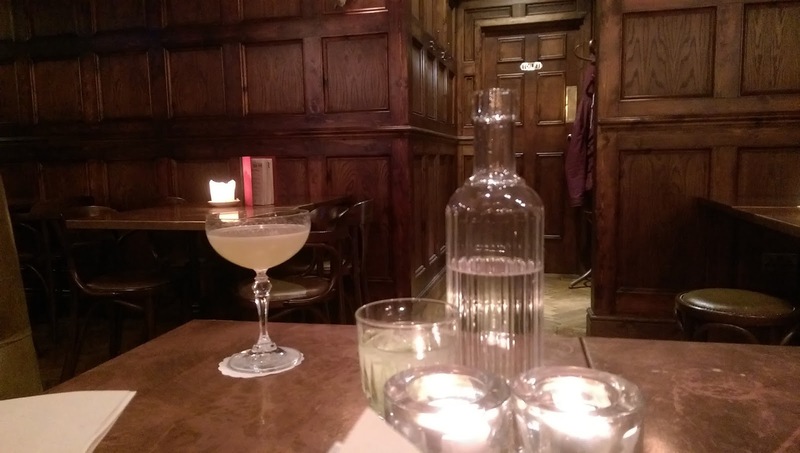 We then had a browse of the cocktail menu and couldn’t resist the Amaretto Sour and 1862 alongside treating ourselves to a few others as well! These two stood out from the selection though, as the Amaretto Sour was presented so beautifully it was almost a shame to drink it! 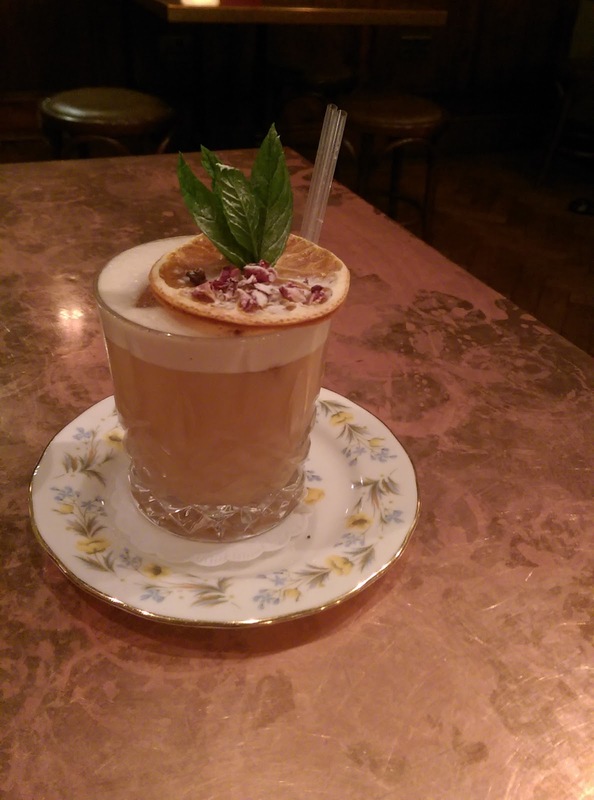 At £9 a pop they’re not cheap though, but when the 1862, for example, contains a delectable mix of Old Forester Bourbon, Apricot, Rosemary, Peppermint Tea, Cardamom, Lime it more than makes up for the price. When the waiter bought them over he even gave us an explanation of the ingredients and how the egg white bonded the cocktail together and how the texture alters – and that was before he knew we were there to do a review! 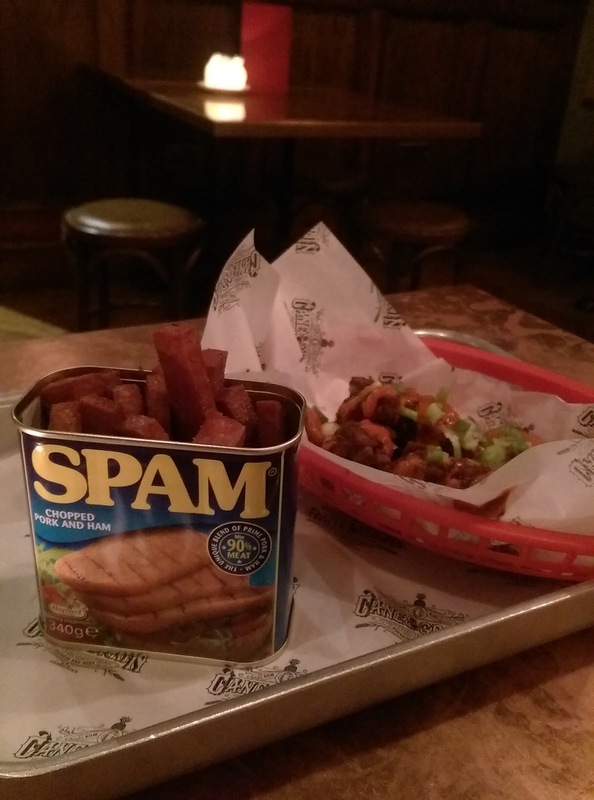 For our starter we kicked off our food choices with Spam Fries and Hot as F*ck Chicken wings. Thinking about it now, it was kind of obvious the spam fries would be fries made of spam and not fries with spam on like I’d assumed! They were absolutely DELICIOUS and for only £3 it’s worth going for a quick drink and just these bad boys if you’re ever in the area! The Chicken Wings weren’t as spicy as I’d have liked considering their name, but we did just go for a medium spice anyway, so probably our own fault! Next time let’s crank the heat up and deal with the consequences later, eh? After just these starters alone I was starting to feel a little bit full, so we really didn’t need to go as over the top as we did for the main course, but hey, ‘when in Rome’ and all that. I chose the goats cheese and beetroot salad, in a weird attempt to be healthy, but then ordered Truffle Mac and Cheese, Smoke Pit Beans and Ribs Tips and Carolina Slaw on the side, whoops! My dining partner also went a bit crazy and chose the Dino Ribs with Dr Pepper Sauce and a side of Hot as F*ck Fries. So yup, definitely over ordered. When the waitress said that the ribs were ‘large’ there were a few ‘yeah yeaahhhhh whatevers’ and I honestly didn’t expect them to be as big as they are! And as for ribs traditionally being known for lack of meat on them? BAH. 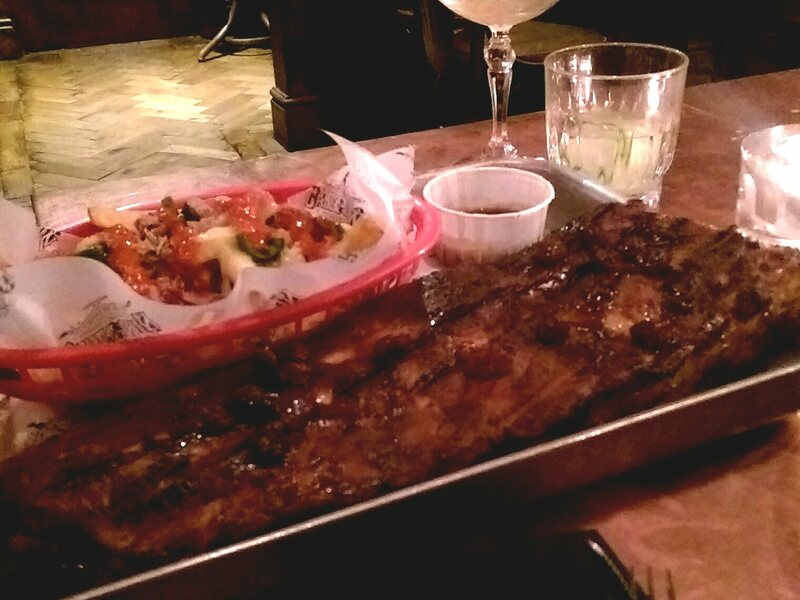 Cane & Grain certainly shoot that theory down, as these bad boys were a MEAT FIESTA. The service time was so so quick and efficient considering the amount of food we ordered, and we probably waited a little longer for the cocktails to be made than we did for the food to come out! I really can’t fault the service and quality at Cane and Grain and will definitely be going back at some point! One thing we really enjoyed was that they offered to pack the food for us to take away. It’s always a bit awkward when you go to a restaurant and you get a case of your eyes being too big for your belly! And being really cheap, I always ask for a take away bag if I’ve left enough food. We took away around half the food we ordered in the end! Feeling massively guilty about that, we ended up giving it to a homeless chap in the city centre before heading home. I hope he enjoyed it as much as we did! 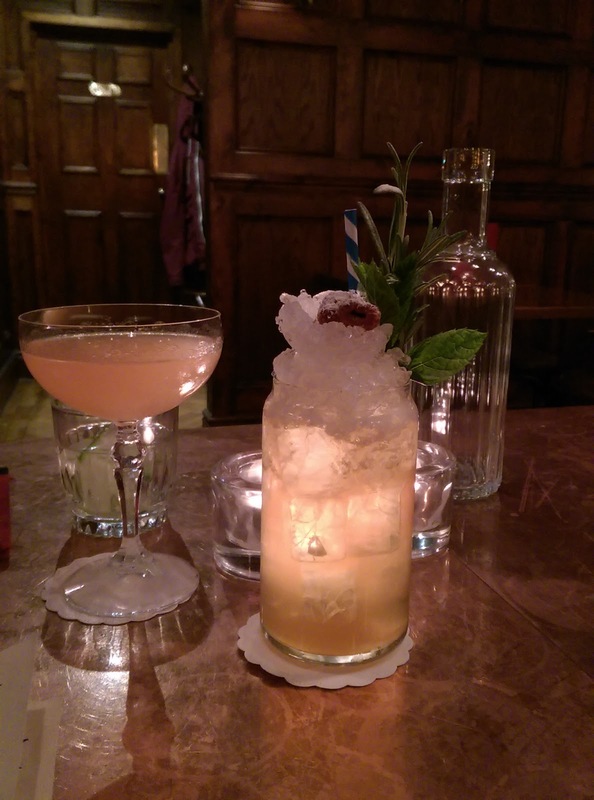 So if you’re ever in Manchester be sure to pop by Cane and Grain – if only for the cocktails and to have a look at the amazing TAXIDERMY SQUIRREL LIGHTS on the first floor!